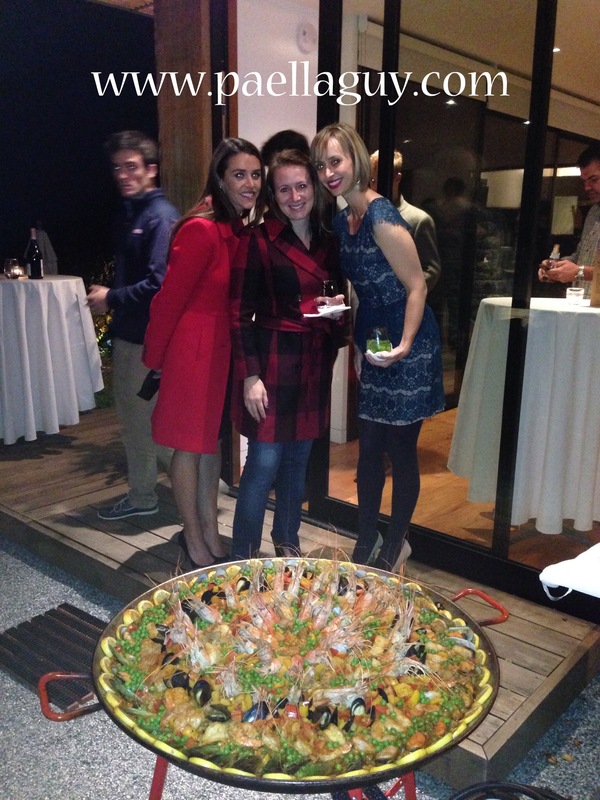 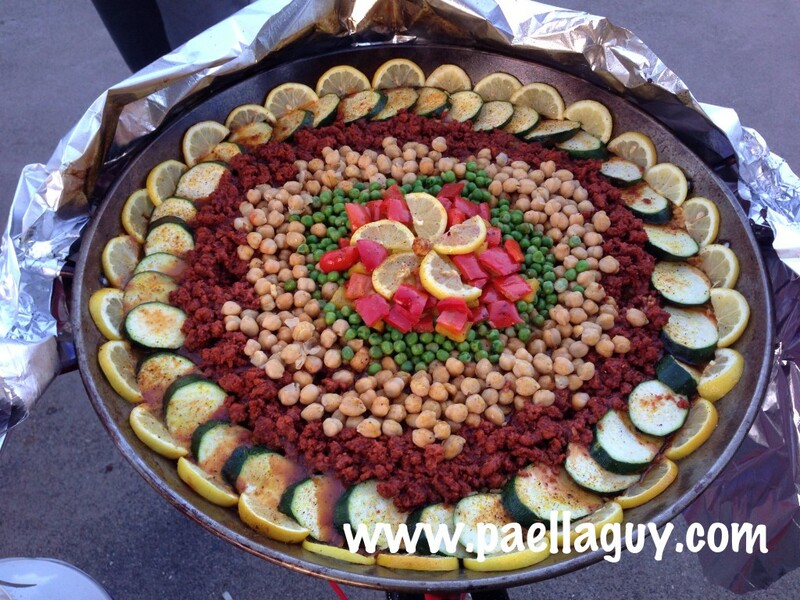 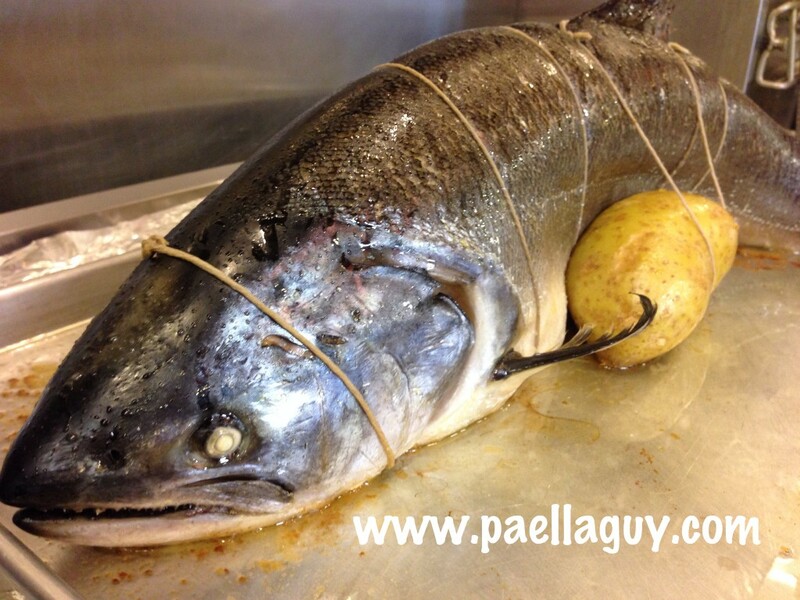 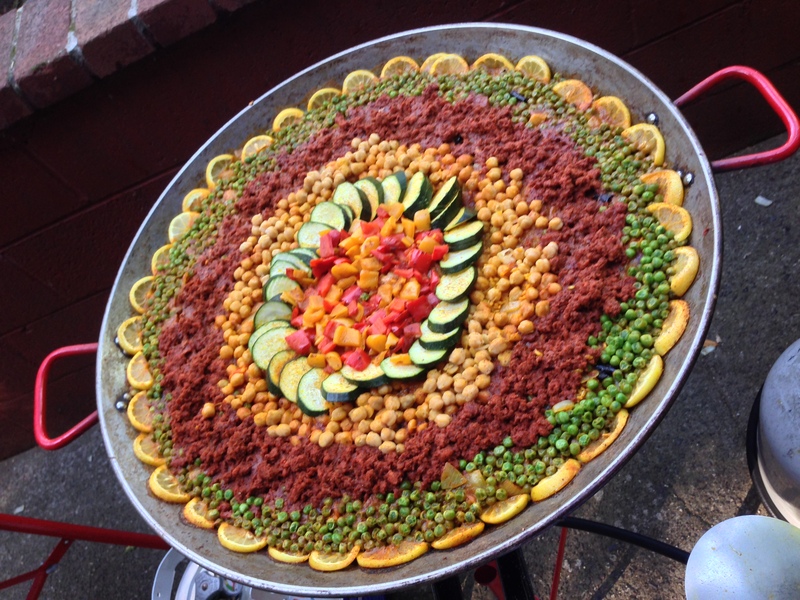 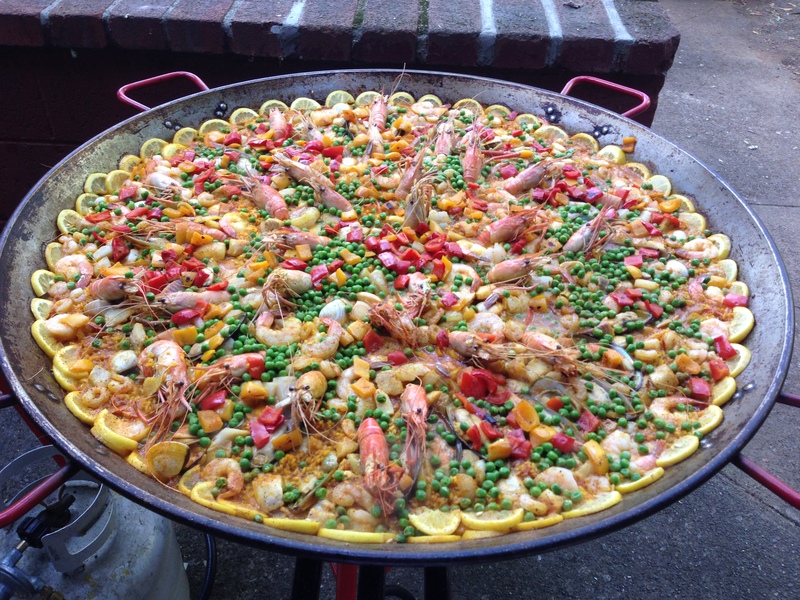 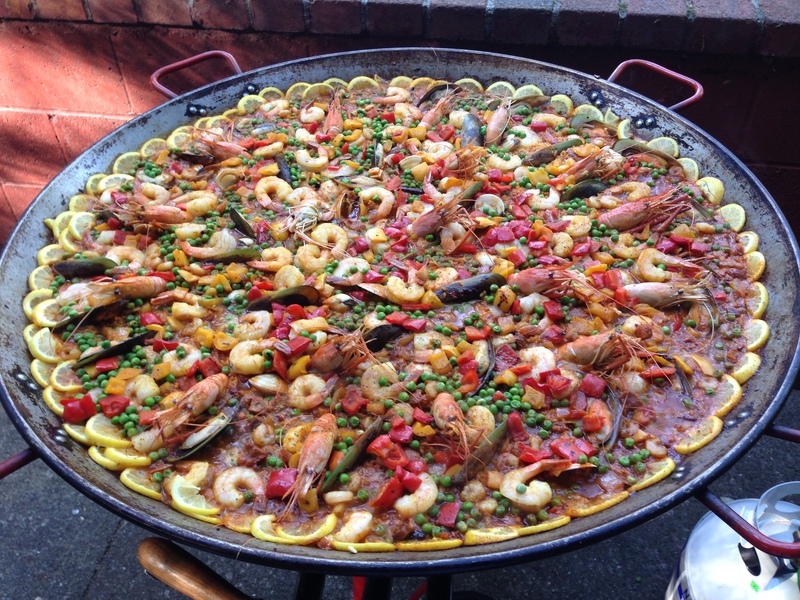 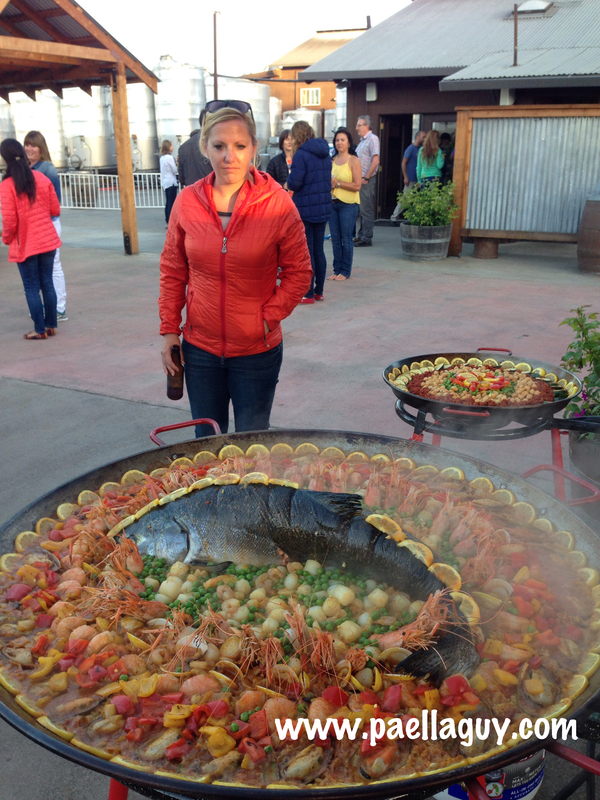 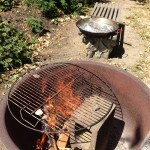 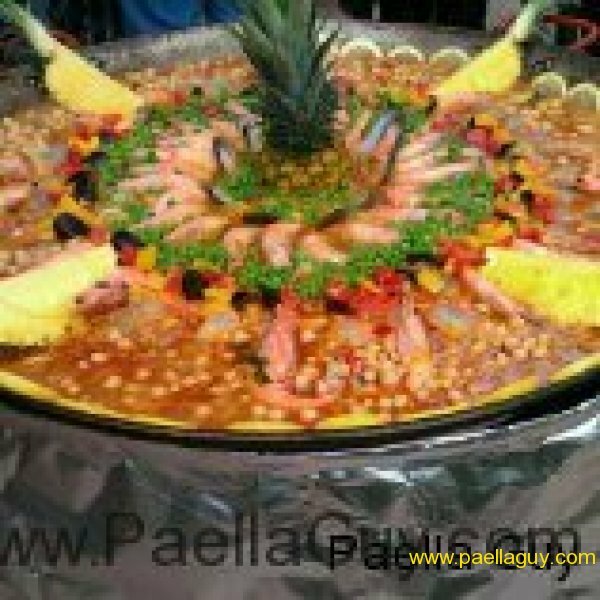 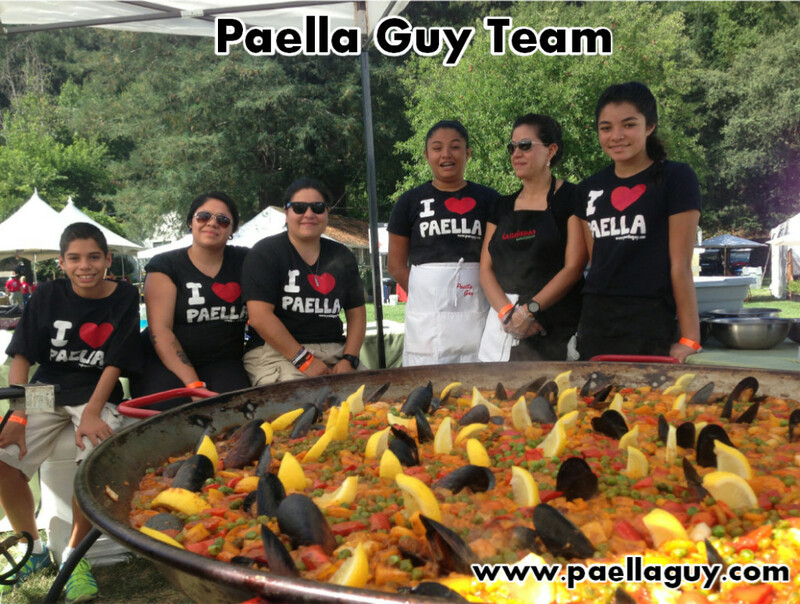 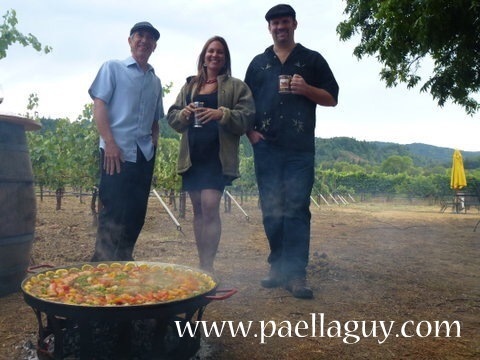 It's never too early to start planning a paella party with friends & familia. 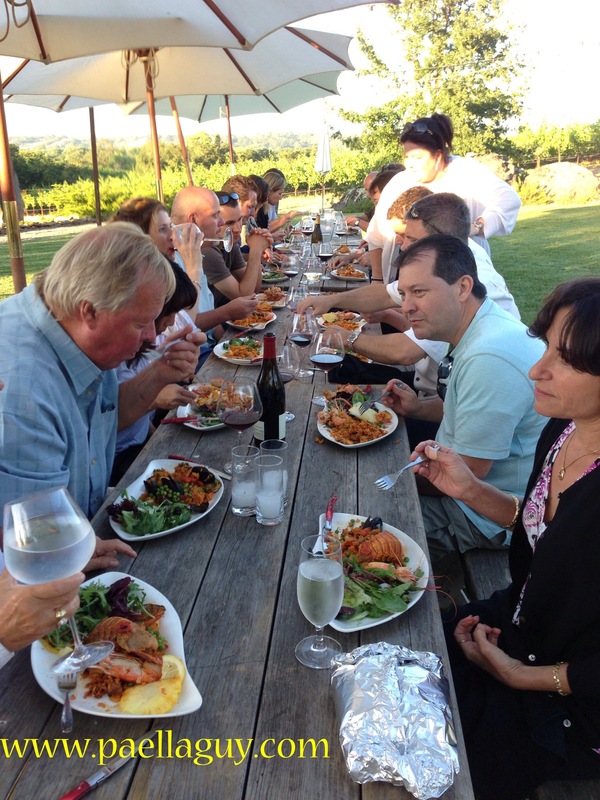 We are now taking reservations for the summer months and would you believe that July is almost booked solid. 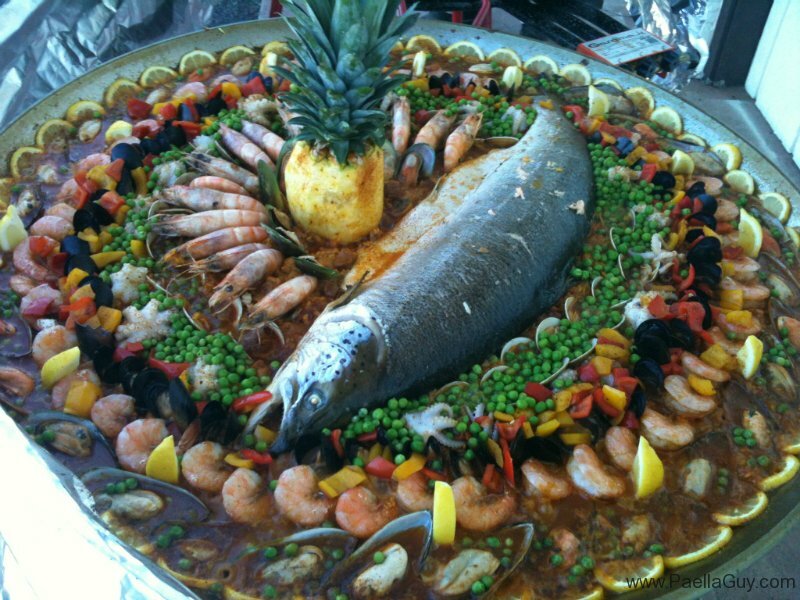 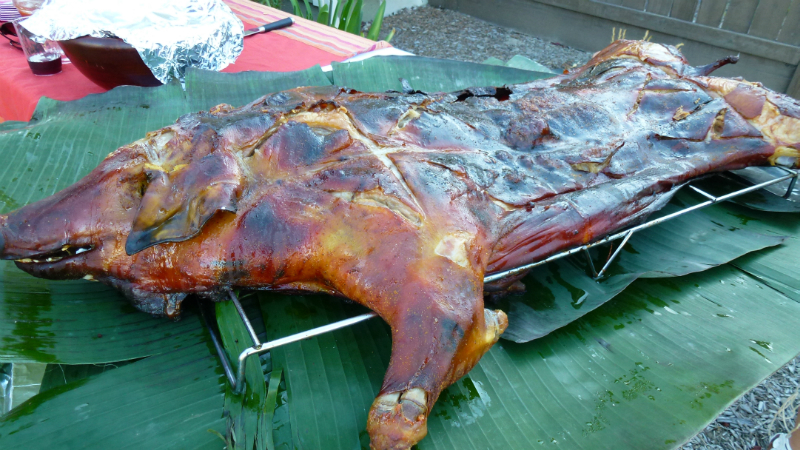 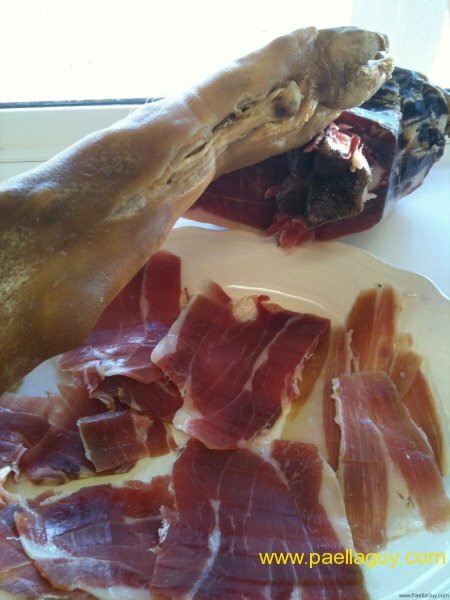 Whatever you are celebrating we can make it more festive and delicious! 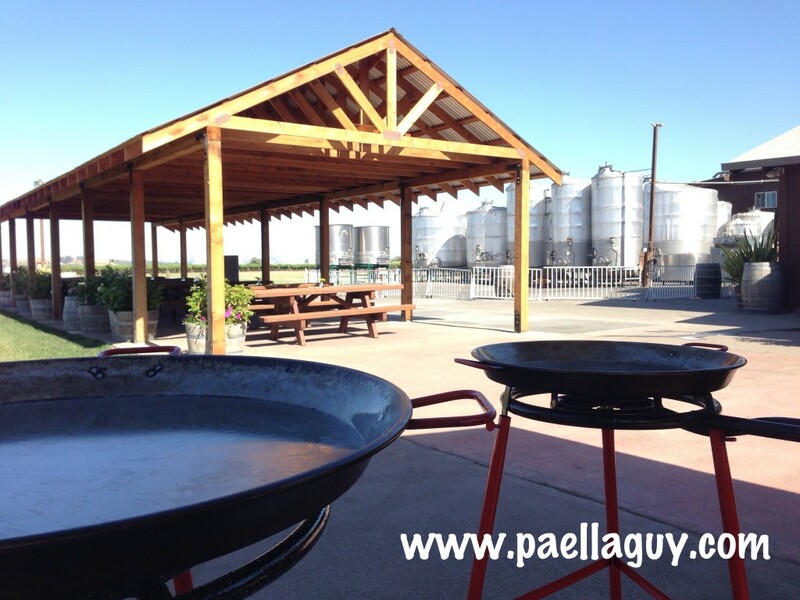 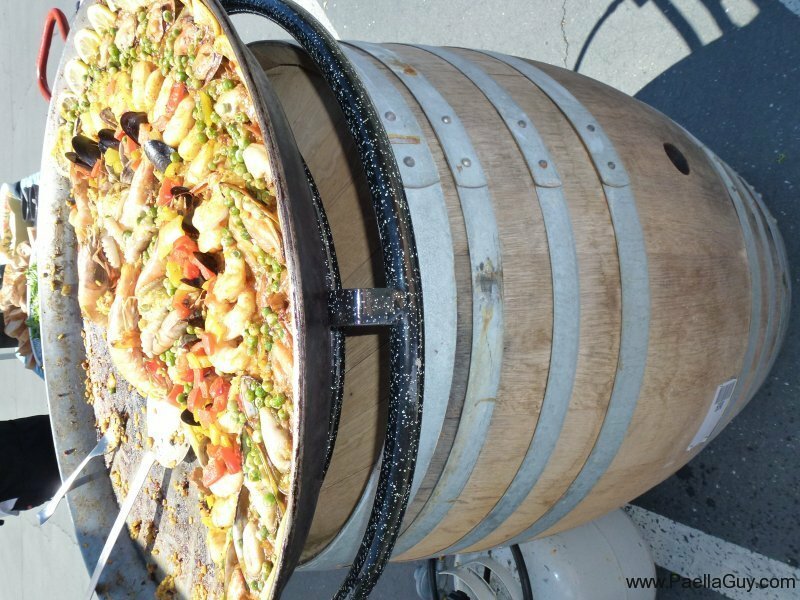 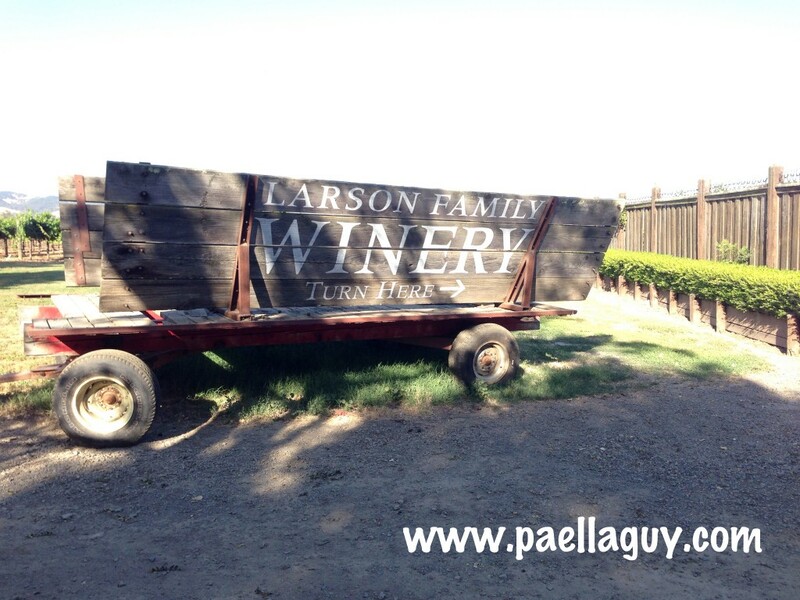 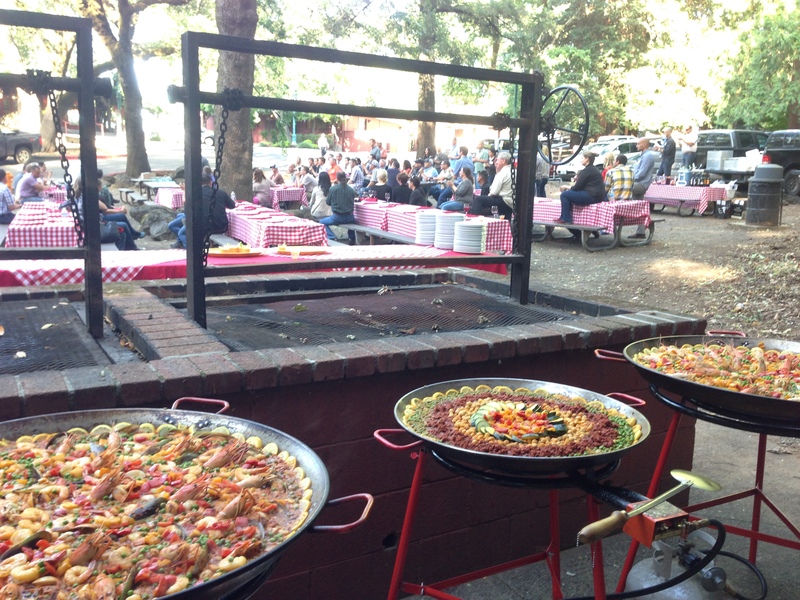 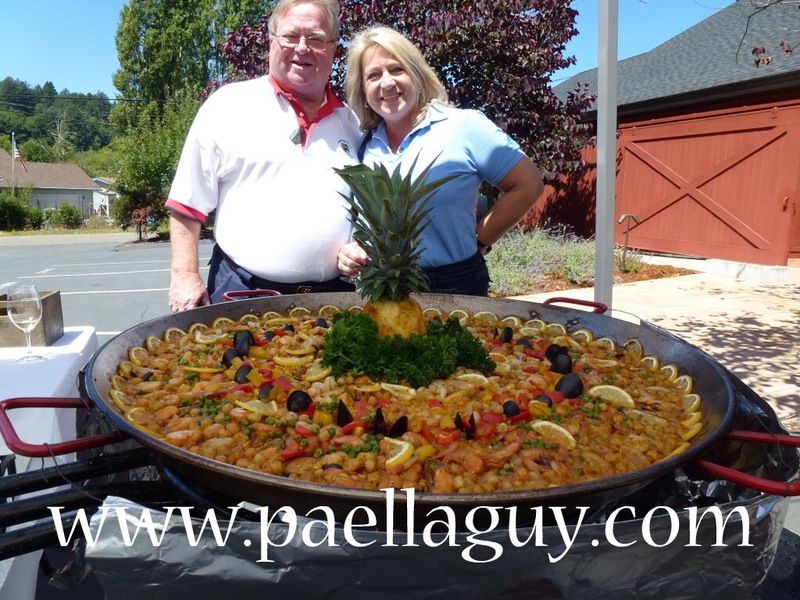 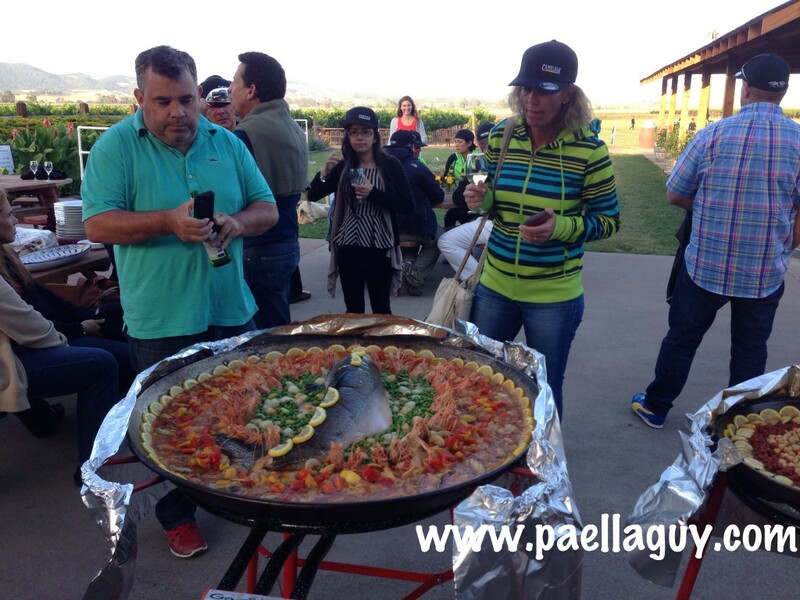 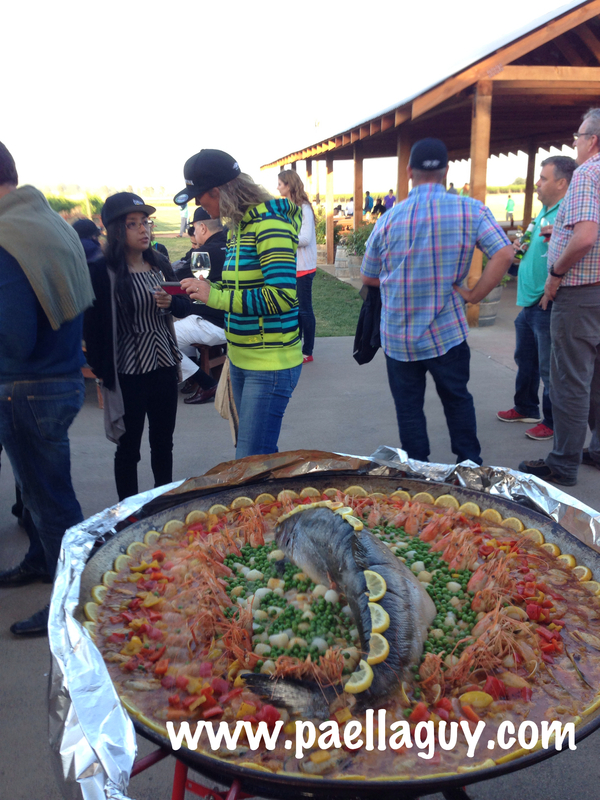 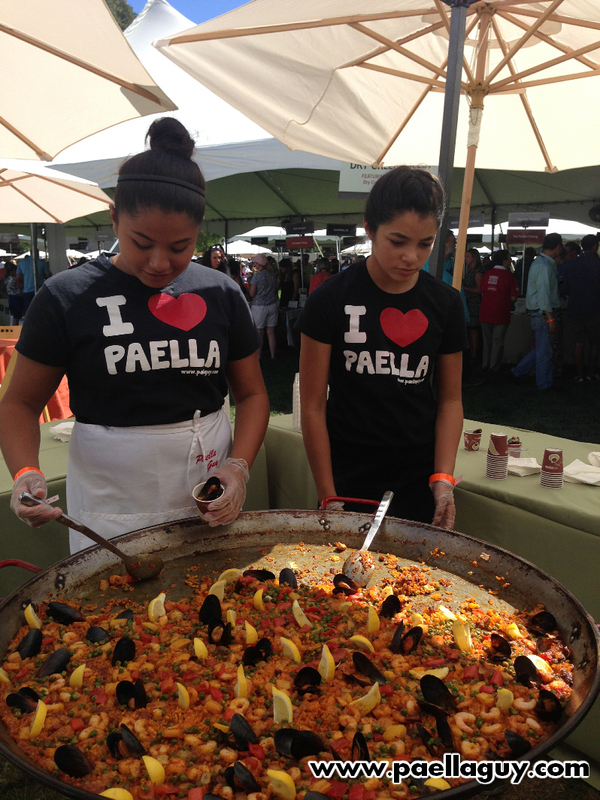 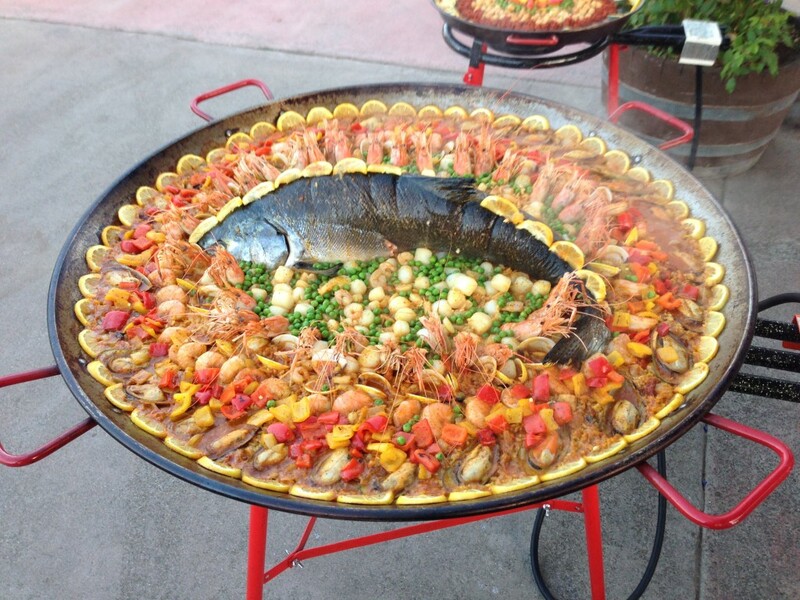 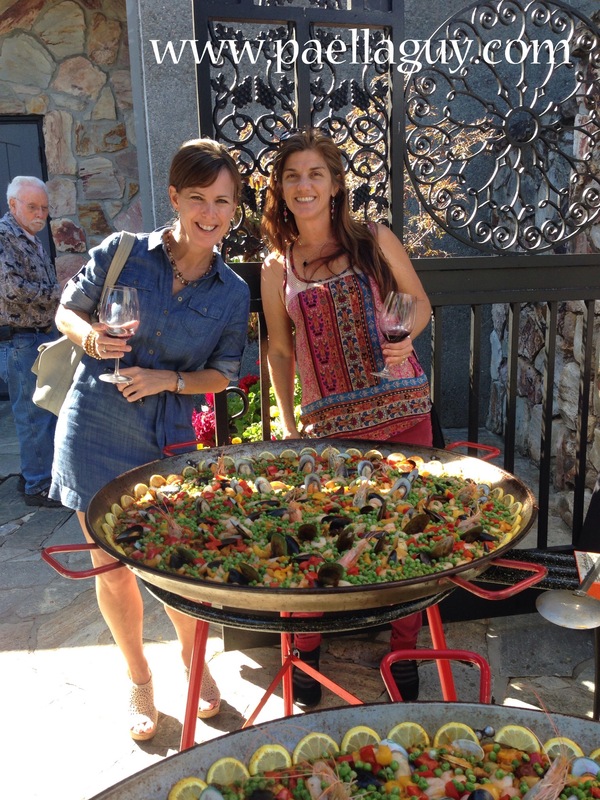 Paella and vino (wine) go together like peas in a pod so when the Gallo Winery was having their 2014 Corporate Innovation Day in Sonoma County, where do you think they turned for paella to serve with their fabulous wines? 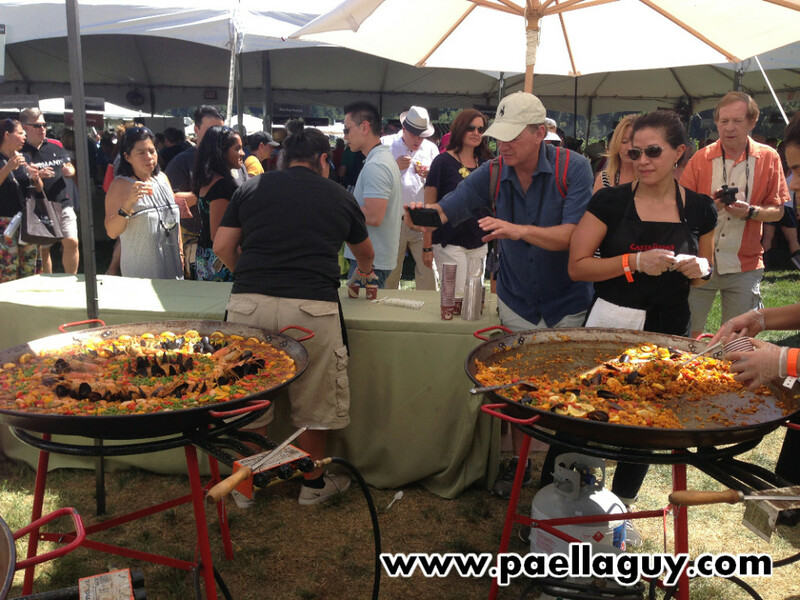 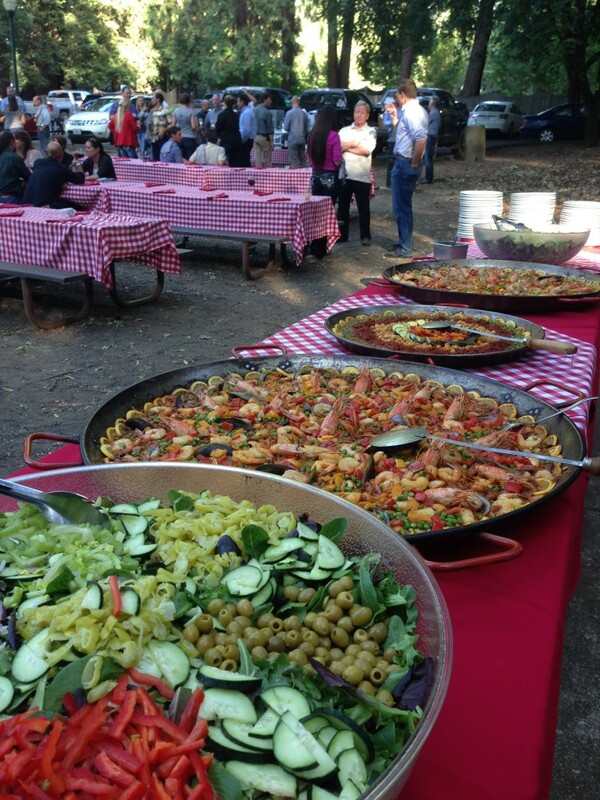 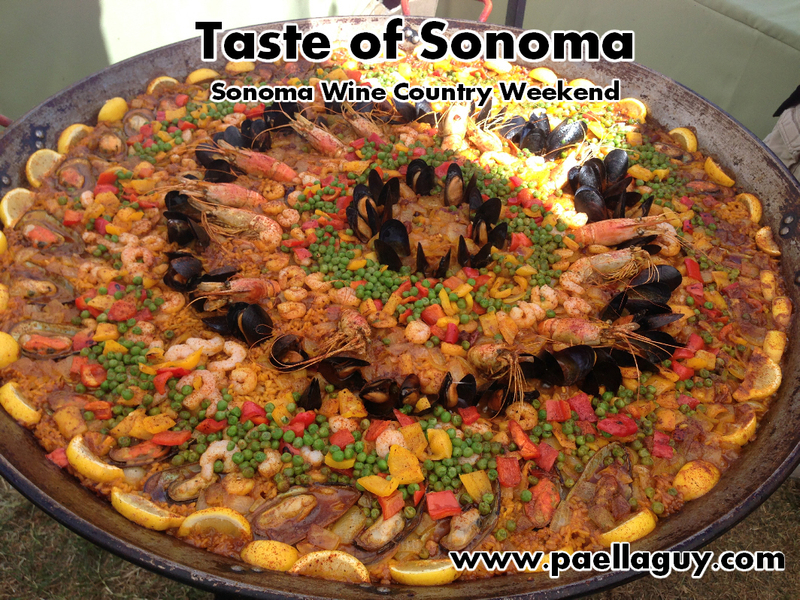 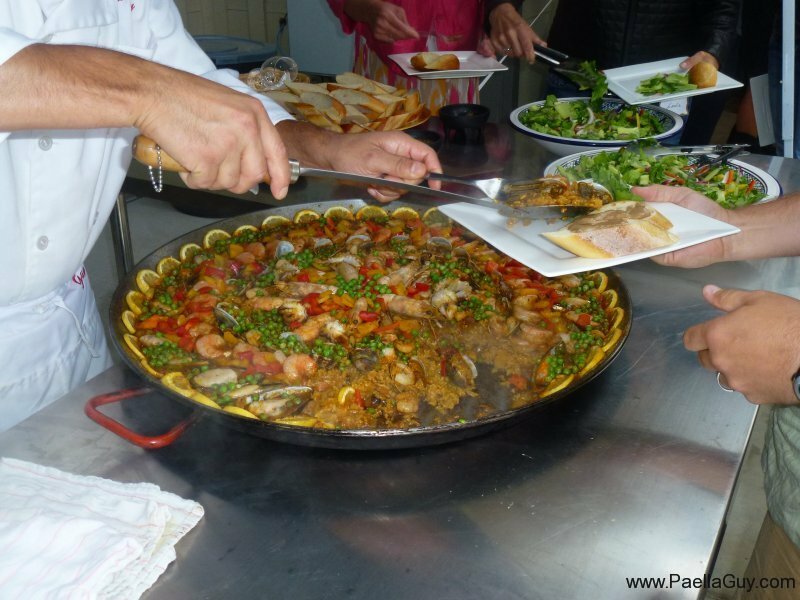 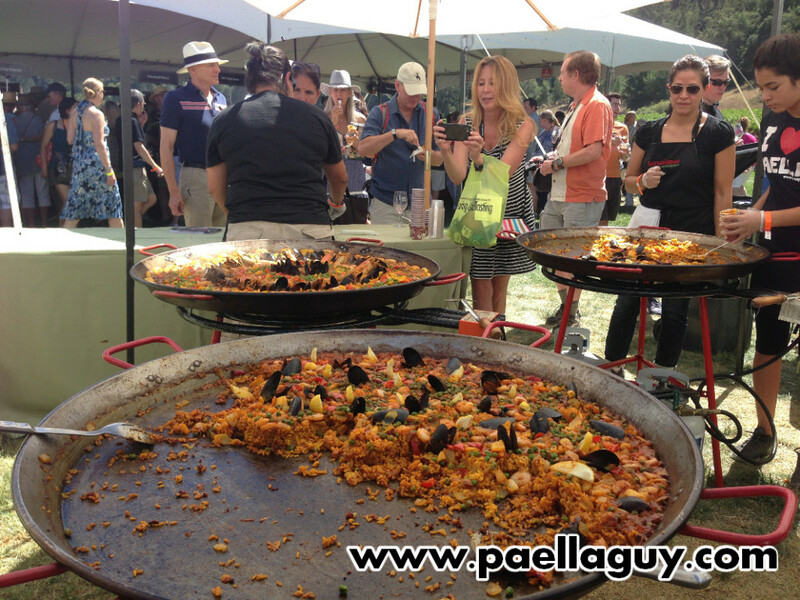 Yes, we made several amazing paellas to go with local as well as some of their imported Spanish vino.Below you'll see a seafood paella, vegetarian and a meat and seafood combination(our favorite) served in a relaxed picnic environment.